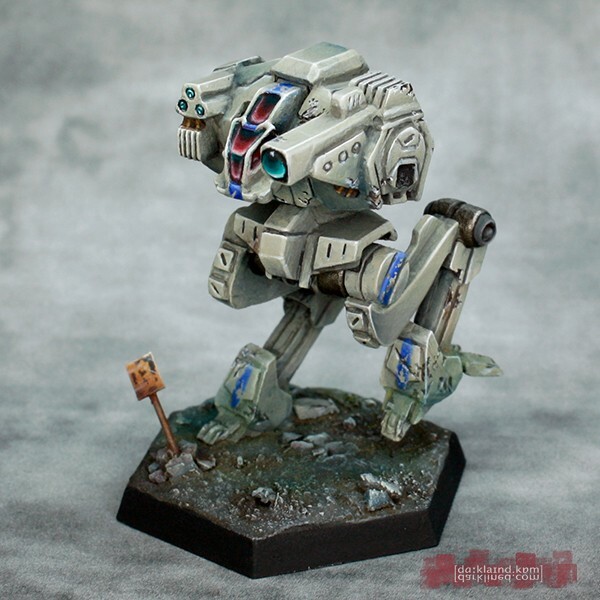 The Cephalus is one of my favorite BattleTech miniature of recent times. 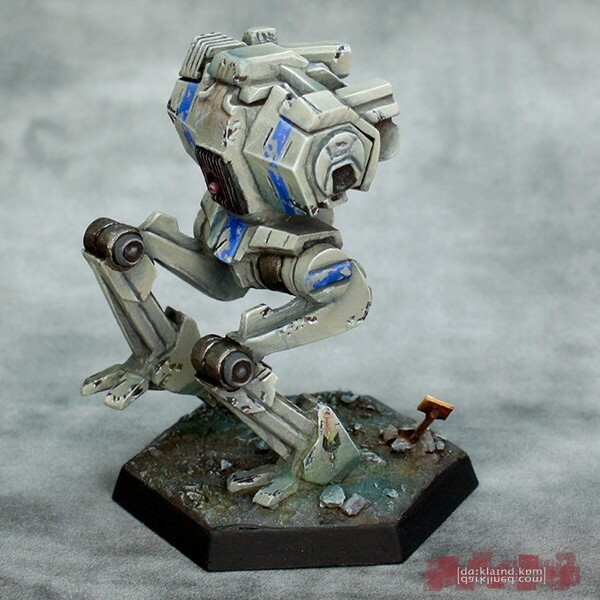 It is a Light Mech exclusively used by the Socitey. Unfortunately – as the Society and their revolution has been defeated – it is extinct in the current timeline. Still a fantastic miniature and a joy to paint. 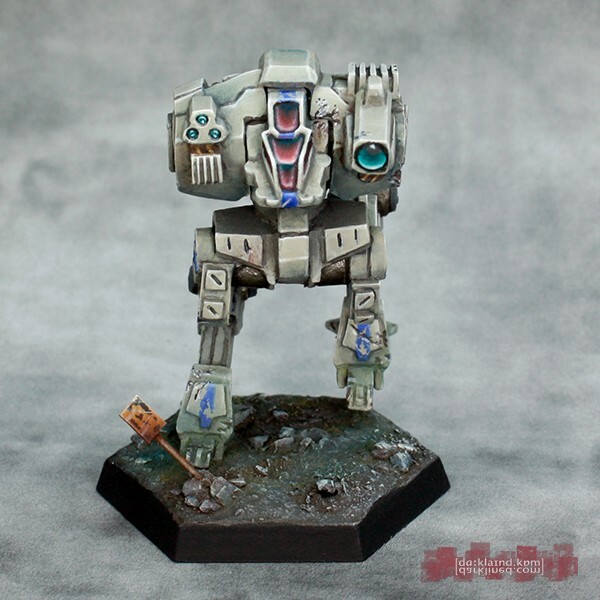 This is the alternate “D” configuration and the miniature is exclusively available in the IWM online store. 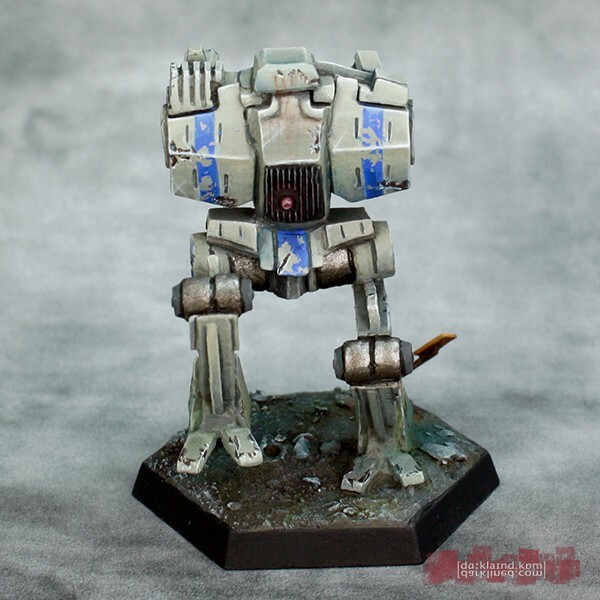 The Society doesn’t have a canon scheme and as they operated in secret for a long time they often painted their machines in false colors, masquerading as units from other Clans while carrying out missions to advance their hidden agenda. 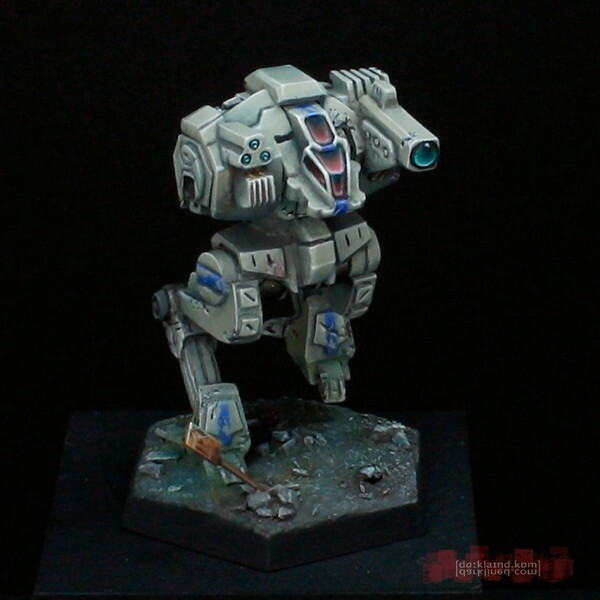 That is why I painted the Cephalus in the colors of Clan Snow Ravens Delta Garrison Galaxy – light tan with medium blue highlights. 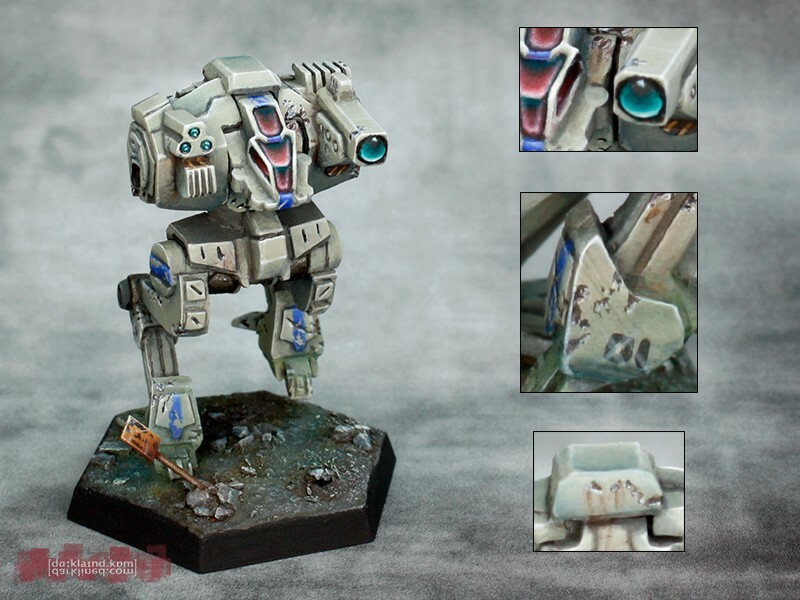 Using Vallejo Model Color Stone Grey and Deck Tan to build up a light tan color is one of my favorites – a combination I have often used in the past. 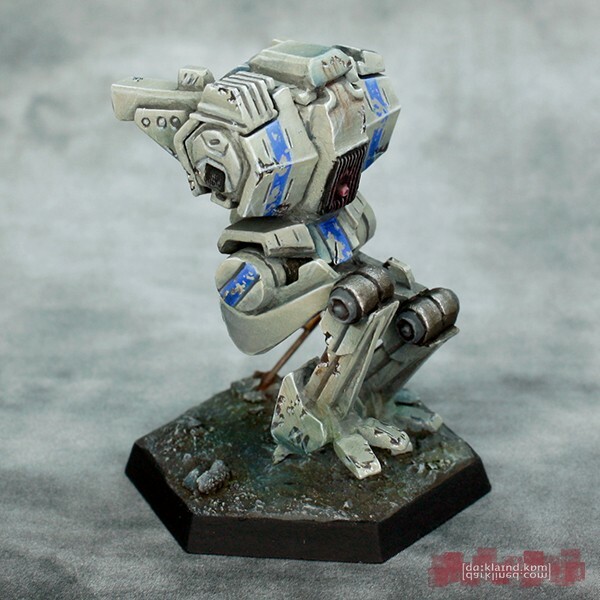 This gives a very flexible base which can easily be altered into many different directions with washes, glazes and weathering. The Cephalus D can also be found on Camospecs Online and the Iron Wind Metals Online catalog.